Restorative environments don’t demand a lot of mental effort but do capture our sense of curiosity and interest in an effortless way. It’s rejuvenating and good for the body, mind and soul. Given older people are projected to outnumber children for the first time ever in the US, it’s particularly interesting, and important, to study how older people interact with their world and identify what types of environments can best support their psychological wellbeing. There are plenty of studies showing the effect of restorative environments in the under-65 age brackets, particularly in students, where most conventional psychology studies are carried out. Little research exists exploring restorative environments for the over-65 population. We sought to meet this gap through a novel study in Edinburgh, Scotland. 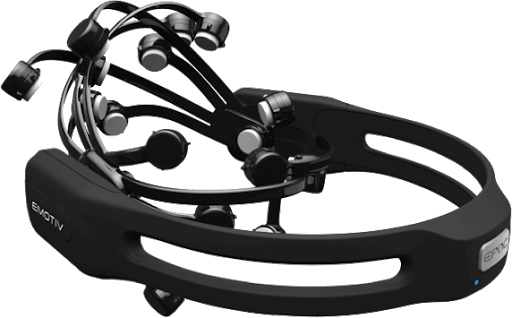 We fitted elderly participants with Emotiv EPOC headsets that measure cortical brain activity and asked them to traverse through three different urban settings: Urban busy (UB – a commercial street with traffic), urban quiet (UQ – a residential street) and urban green (UG – a public park). The emotional parameters measured were excitement, frustration, engagement, and meditation. What was so interesting about the results is that these participants experienced higher levels of engagement in the urban green areas than youth results in similar tests! 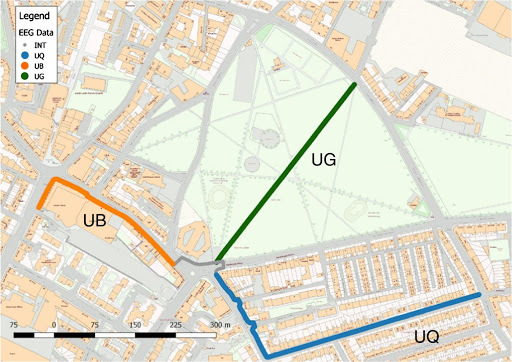 Possible factors could range from decreased quality of paving (a substantial barrier for the elderly) in the urban green areas, or a difference in how an older brain might process the environment. Predictably, higher levels of excitement were experienced in the urban busy spaces. The implications for designing environments for the elderly are considerable. Too often we take for granted an unchanging body and mind when we are young, forgetting that mental health care needs to extend well into our elder years. Designing our future cities for the health and wellbeing of all ages is at the heart of the matter. While more studies need to be done, this research already revealed that healing green spaces are experienced differently across the life span. Future research could tell us what those nuances are. You can read more about the study here.